NEW! 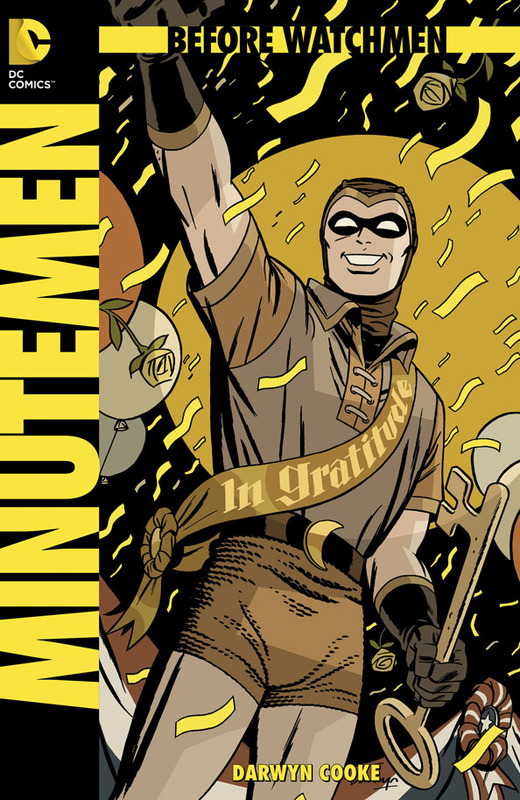 Before Watchmen: Minutemen #1 (of 6) - Continuing in the over-hyped controversy department, we have the first of several new miniseries set in the Watchmen universe! All of the miniseries to be released over the next 4-6 months are prequels to the original Watchmen story, but Minutemen is by far the um..pre-est? The story begins with original Nite Owl, Hollis Mason, who has just finished his tell-all novel, Under the Hood (As seen in the original Watchmen). The comic is narrated by Hollis in first person and basically IS his novel, at least so far. This makes it a little wordier than a normal comic book, but it's also a good call as readers will quickly warm to Nite Owl as almost certainly the most accessible "everyman" of the original Minutemen. Not a whole lot happens in issue #1 here, but we have an introduction of all of our team members, some brief information about each and the beginnings of the formation of their team. Again, it seems a little exposition-y to me, but if you haven't read Watchmen (or if it's been a while) it DOES help remind you who all these (originally) secondary characters were and what they stood for. I particularly liked the stories of Mothman and Silhouette. Each have the potential to be strong, albeit tragic, characters given time. A note on the artwork...it's really pretty and retro! Drawn and coloured in a way to make you think "1938" or perhaps "Classic Comics". Of course it's got some modern sensibilities to it, but you can see the artist was having a lot of fun drawing in this style. I like it a lot! Once the story picks up and we get off all of this exposition, I think that this could be an excellent book! Just don't tell Alan Moore I said so. That dude scares me! Action Comics #10 - Nimrod the Hunter makes an appearance this month. He's killed every dangerous animal on the planet. Now he wants to kill Superman. Not only that, but he's pretty sure that all he has to do to accomplish his goal is to kill Clark Kent! Around the same time, Superman is having some philosophical differences with the rest of the Justice League. Batman lets it slip that he knows that Superman's a journalist. To be fair, Supes knows that Batman is Bruce Wayne, too, but still. That's two people who suspect that Superman is Clark in a really short time. Superman's answer? 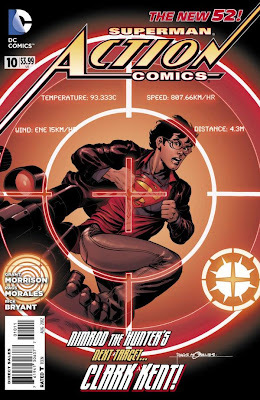 Clark Kent must DIE! A distraught suicide bomber sets off a bomb and Clark is standing at ground zero. Now, everyone believes that Clark is dead. Opportunistic, I know, but hey, you have to admire Clark's split-second decision making skills! Incidentally, Superman is JUST fine...thereby proving he couldn't possibly have been the late, lamented Kent boy. Speaking of whom we are treated to a touching gathering of friends to honour young Clark. A wake, of sorts. It seems to take Superman by surprise that so many people care(d?) about his life as a mild-mannered journalist! Oh, remember that all of this is taking place in the past...right around the formation of the League and while Superman's still spending at least some of his time fighting crime in jeans and a T-shirt! Clark Kent is very much alive and well and being Superman in the "current day" New 52. 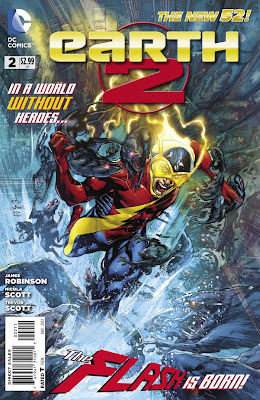 Oh Grant Morrison...where ARE you going with this? Love him or hate him, Mr. Morrison is rarely predictable! Can't wait to see what happens next! 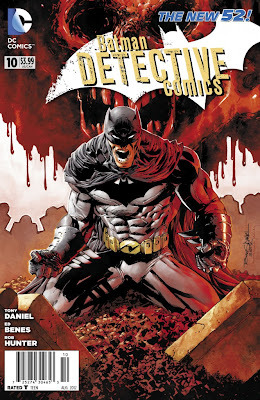 Detective Comics #10 - It seems like it is Radiation Week in the DCU as our story opens with three armed assailants robbing an armoured car of a highly sensitive, radioactive substance that was being shipped to a lab for analysis. Oddly enough, these 3 armed assailants? All dressed like BATMAN! It doesn't take the REAL Batman long to get on their trail! When he does it leads him into a mystery involving melted scientists ("Melted?" "Yeah. Like cheese pizza.") self-destructing henchmen and a super villain who's head is a skull and crossbones floating in a red dome. He calls himself Mr. Toxic. Well, his silly name belies his deadly results. 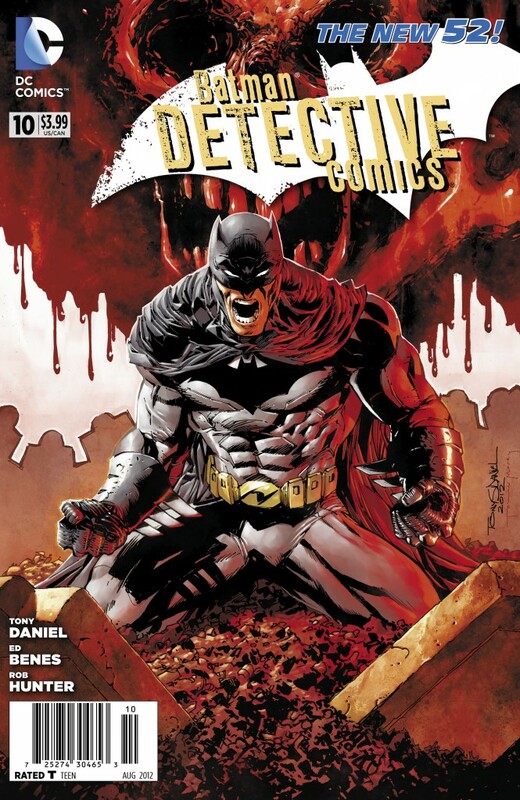 Can Batman possibly survive? Hmm...radioactive villains AND people blowing themselves up. Trending this week! 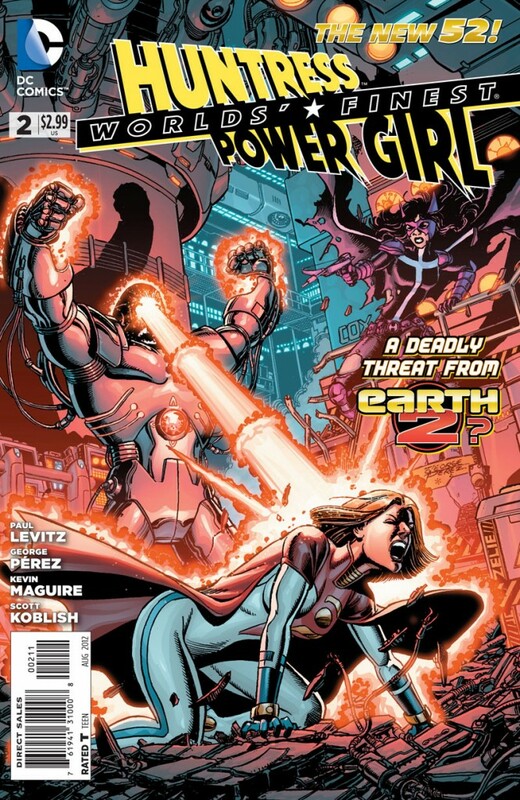 This issue Ollie comes across a young lady trying to commit suicide because she thinks that she is a robot. Turns out she's part of a whole support group of people who wish they were robots or are in the process of becoming robots or cyborgs or just THINK that they are? It's a little ambiguous and perhaps varies from case to case. The range seems to be somewhere between fully converting from a human body into a robot and simply extreme piercing. Anyway Oliver fights for the depressed crazy girl's life (or operational status, if she actually IS a robot), but you can tell he's secretly thinking "wish I was a robot...then I wouldn't be all emo about stuff!" 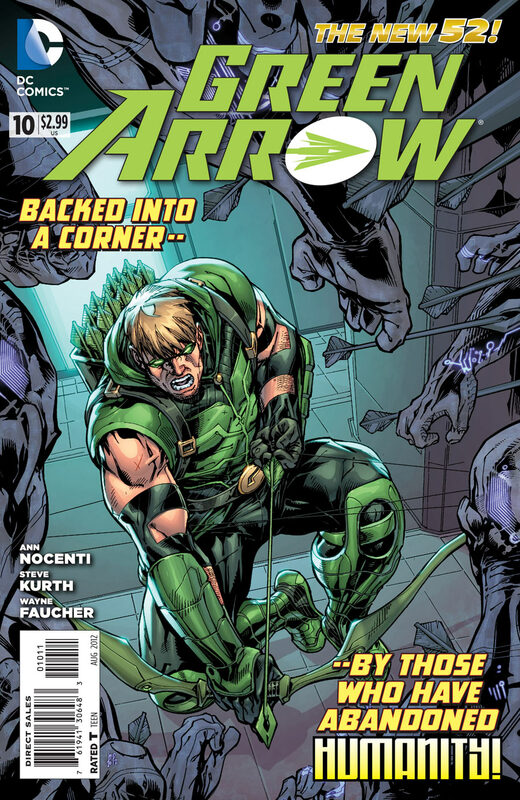 Grow up Green Arrow! The robot people are morons...please! Maybe if you WIN a few battles or, I don't know...stop some crime? You'll feel better about yourself! Points for trying to help YET ANOTHER pretty girl though. Get right back on that horse, man! And that's it for the first week of June! It's a big month though, with new issues of Before Watchmen: Silk Spectre, Batman, Green Lantern, Batgirl, Ravagers and more coming out tomorrow! New comic book day FTW! Oh yeah, and as always, a new post on Stryder's Dementia to tide you over! This week I try to understand the universe whilst getting sand in my underwear...Enjoy!